February 10, 2017 | 2 p.m.
Don Phillips served as a member of the Bethel University Board of Trustees from 1992–2008. 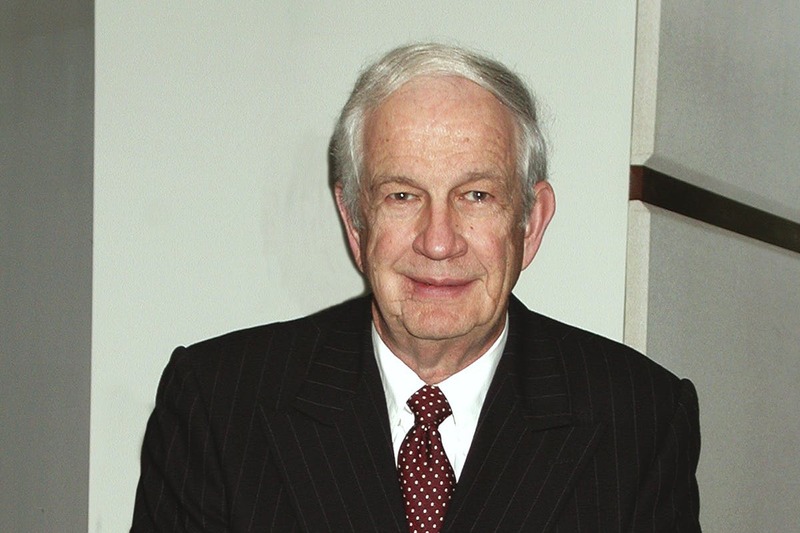 Phillips first joined the board during Carl Lundquist’s presidency, when he was nominated by members of his home church, Skokie Valley Baptist Church in Wilmette, Illinois. Later during Brushaber’s presidency, Phillips returned to serve another 16 years on the Board of Trustees, from 1992 to 2008. The process for board members had changed by then and rather than Converge churches nominating trustees, Bethel administrators selected trustees based on experience and qualifications, explains Brushaber. In 2002, Brushaber asked Phillips to chair Bethel’s Trustee Task Force on Governance, which was charged with examining the merits of moving Bethel College & Seminary to a university form of organization and governance. The task force determined that Bethel already had many characteristics of a university and that a university model would encourage innovation and entrepreneurship through graduate and continuing studies programs. The board approved the recommendation, and Bethel College & Seminary became Bethel University in 2004. In addition to his involvement at Bethel, Phillips served on more than 20 other boards and committees and was especially involved with his own alma mater, Mississippi College. In business, Phillips spent almost 30 years with International Minerals and Chemical Corporation, including serving as president of two of its four business units. He also spent a year in England working for Pitman-Moore, an animal health company. The Spring 2003 Bethel Focus magazine included an article in which Phillips said he considered his experience in corporate and non-profit decision-making as one of his greatest contributions to the leadership positions he had held over the years. That and his ability to listen. “My number one gift probably is that I am a good listener to the views of others before drawing conclusions of my own,” he said. Phillips is survived by his wife, Sue; daughter, Donna Keeling (Mike) of Brandon, Mississippi; four grandchildren; and three great-grandchildren. He is preceded in death by his daughter, Debra Barnett of Wilmette, Illinois. Read his complete obituary online.